India’s “push to linger the promulgation of constitution” at the last moment, and reluctance to join with Nepalese to celebrate a much-awaited constitution, imposition and lift of “undeclared blockade of Nepal-India border” induce me to share some of my understanding about Madhes agitation, Indian government’s reaction after the promulgation of the new constitution, and future relationship of two ‘friendly’ neighbors . It is true that there was a strong frustration and feeling of discrimination among Madhesi youths. The first was due to the weak and corrupt nature of Madhesi leadership, and second was too biased attitude of hill and Kathmandu elites for years towards Madhesi people. Around the time of promulgating the Constitution, Rajendra Mahato-led Sadbhawana Party took an extreme position. It closed the Party’s headquarters in Kathmandu, quit the membership of Constituent Assembly (CA), and went for movement joining the youth sentiment. In fact, it was a calculative movement of Sadbhawana Party for its survival as the party which used to claim as the only Madhes-based party was reduced to being fourth in the rank with only 1.41 percent of popular votes. But that move compelled other Madhes- based parties to think future survival if they continued to be inthe CA. It is said that leaders of other Madhes-based parties had given go-ahead signal to three major party leaders even after they officially left the process. That is why Kathmandu has understood it as India’s backing to make Madhes-based parties more rigid against the constitution making process. It was unfortunate that the protests and violence which occurred in Nepal before the promulgation of the constitution have left at least 40 dead. But it doesn’t mean that the CA totally ignored the sentiment of Madhes unlike for other aspirant groups that were promised identity-based provinces by the Maoists. The Madhes could secure a province based on identity as demanded by them. Since the credit for establishing federalism discourse in Nepal goes to the Madhes movement of 2007, one could argue that the 8-district Madhes province is a gift of Nepali state to the Madhesi people. There is an argument how at all Nepal could have a constitution amidst the protests by more than 50 percent of its population residing in Madhes. Yes, nobody was fully satisfied with the way constitution was being declared in a hurry, and without addressing various ambiguous constitutional provisions. However, many of them kept quiet and joined celebration stating that it is a compromised document. Those who boycotted the process were 61 members out of total 601, and 14 out of 61 members were there till the final process was started. If we calculate votes, those who boycotted the whole process had not bagged more than 8 percent votes in the last election. Indian Reaction: More Emotional than Realistic? Many people in Delhi cite that India, especially PM Modi, was unhappy due to the betrayal of Nepalese leadership who, while meeting PM Modi in Delhi and Kathmandu, promised to bring “the broad-based ownership and acceptance of the constitution”. If it is so, it is PM Modi’s emotional reaction ignoring complexities of politics. I think, major party leaders had a reason to announce new constitution without any further delay. The logic behind it was that there was a strong national and international anxiety against Nepali leadership questioning whether the 2nd CA will be able to bring new constitution in place. The leaders were under pressure to address this public concern, because of their failure to meet the deadline and words time and again in the past. Once they saw the possibility to pass the constitution through due process, they considered it a golden opportunity to capitalize it for promulgating a new constitution. In fact, the mainstream leaders agreed to postpone the process for two more days along with mounting pressure not only from India but also from various walks of life inside the country suggesting postponement of constitution declaration event for a few days to bring the agitating Madhesi leaders on board. But the process went ahead once no Madhesi leaders agreed to sit in the dialogue. Also, they could observe a couple of new initiatives within and outside the mainstream parties to club against constitution making process. If it was delayed further, leaders might have faced the revolt of their own cadres, and eventual loss of the required vote to pass the constitution. Take an example of May 15, 2012, when the 11 province federal model was agreed upon by major parties, but the agreement eventually led to the dissolution of the CA on May 27, 2012 without having promulgated. In fact many things will not always be under the control of a few top leaders of Nepal as the 601-member CA has been a combination of many interest groups, and political ideologies. Both-waiting for some more days and siding with only an aspirant group by fulfilling its 100 percent demand would lead to repeat the failed history of the CA. PM Modi should not ignore that politics is not so simple and always under control of leadership. Had it been the case, why could he not avoid the virtual closing of the Monsoon Session of Indian Parliament without any major business being transacted? There were reports which stated that India had offered 7-point recommendations on Nepal’s new constitution, and one of them was about the constituencies based only on population. I still doubt whether India ignores Nepal’s compulsion to manage geographical difficulties to go for mixed (considering geographical disadvantage and strength of population) constituencies and suggest Nepal to go for only population-based delimitation. If India considers it as disparity against one community, why does India still have the similar practice? As we know, India has largest constituencies like Malkajgiri Lok Sabha seat in Andhra Pradesh with 29.53 lakh voters, and the smallest constituencies like Lakshadweep with just 47,972 voters, Daman and Diu with 1.02 lakh voters, Ladakh with 1.59 lakh voters. While observing the scenario, it has become very difficult for others to understand the desire the Indian state has in Nepal. “Nepal experts” in India also could not convey a clear message through their academic engagement as most of them were producing their write-ups by narrating India government’s formal positions. On the one hand, Nepal which was trying hard to recover from the devastating earthquake is now facing another crisis of fuel, transportation, and other essential commodities due to “undeclared blockade” of India. It has been witnessed that hundreds of vehicles, carrying different types of goods from India to Nepal, have queued up in a road stretch of miles from Indian Customs Offices where they were not given clearance to enter Nepal. Besides, India time-and-again reiterates that the obstruction of goods and freight on the border was due to the agitating Madhes-based parties, not India.Nepalese especially those who are residing in the bordering areas and observing the situation have a serious reservation about the Indian government’s formal position questioning why trucks carrying different types of goods were not allowed to enter from border points i.e. Kakarvitta, Sunauli, Nepalganj and Mahendranagar where there is no presence of agitating groups. It is witnessed that the unnecessary delay and stoppage was started by Indian border management authorities following the statement of Ministry of External Affairs, India issued on September 21 stating “Our freight companies and transporters have also voiced complaints about the difficulties they are facing in movement within Nepal”. But no trucks, tankers, and transporters have filed complaint about the difficulties towards Nepal side after crossing the border. Rather, the tankers and trucks which are waiting to cross the border after loading fuel and other goods are afraid to wait there as most of them belong to Nepali transport companies. Instead of questioning Indian government’s attitude towards its friendly neighbor, most of “Nepal experts” in India have been expressing their only concern about the growing anti-India sentiment in Nepal. They ignored to understand that once public life was disturbed, it was obvious for Nepal to criticize the one who is behind the scene. There was direct and indirect involvement of Indian state not only to back Madhesi party leaders to continue with their agitation even after the constitution was promulgated, but also to stop transportations from the border so that day-to-day life of Nepal will be difficult. That is why Nepalese were suggesting Indian state either to undo its “undeclared” blockade or be open and go for official blockade as it did in 1989. In the meantime, it is said that Indian government on October 4, 2015 has directed its agencies to ensure smooth operation of import and export to Nepal. The supply of petroleum product was already smoothened from some bordering points since Friday (October 2), and it would be easier in other bordering points by October 4” National News Agency of Nepal-RSS quotes Indian Ambassador Ranjit Rae as saying. The latest decision of India to lift “unofficial blockade” is a welcomed decision as it would not be good for both the neighbours if it continued for some more days. However, people who want to see India as friendly neighbor have to point out the failure Modi regime’s neighborhood policy. In fact the latest statement of Indian government has to be considered as ‘official lift of an unofficial blockade’; it is nothing except an immature foreign policy. To conclude, it could be argued that this constitution has many obvious limitations as a compromised document. However, it has been able to subscribe to many democratic principles including multi-party competition, federal set-up to assure decentralization, inclusivity, etc. In many ways, it is one of the progressive constitutions in South Asia as it has assured proportional representation of all the marginalized groups, assured 33 percent representation of women in the apex legislative body. Here, it is the responsibility of Nepali leadership to take initiative to bring Madhesi people on board to welcome and accept the new constitution. Demands such that some of the Village Development Committees of Sunsari and Morang should be included in the Madhes province need to be accommodated, and proposed High Level Federal Delimitation Commission will have to look at it while taking a final decision. As far as the issue of delimitation of parliamentary constituencies is concerned, the government stated that it has already prepared an amendment proposal to make the population the major basis for delineating the election constituencies as mentioned in the Interim Constitution 2007. It seems that Madhesi commoners are misinformed about the constitutional provision to provoke them so that they could join the protest against new constitution. My own interaction with some of the Madhesi youths from Rautahat, Bara, and Sarlahi revealed that many Madhesis joined the protest once they were informed saying that a child born to Nepali father and foreign mother will not be able to have a citizenship by decent. Since one witness quite often marriage among Nepalese and Indians they are very close culturally and geographically, this issue seems to be the touchy one for them. Here, it is the responsibility of the mainstream parties and the government to reach to them and clarify about the constitutional provisions about citizenship by decent. If we follow the new constitution, Article 11 (2b) states that “any person whose father or mother was citizen of Nepal at the birth of such person”, whereas according to Article 11.4 “very child found in Nepal whereabouts of whose paternity and maternity is not known shall, until the mother or father is traced, be deemed a citizen of Nepal by descent”. This issue of ill information needs to be addressed as soon as possible, and extensive engagement of state and political parties with the community seems to be only the way out for it. India, being an immediate neighbor with some 1800 KM open border, has every right to put forward its genuine security concerns and discuss with Nepal respecting sovereignty, psychology and sentiments of a small country. 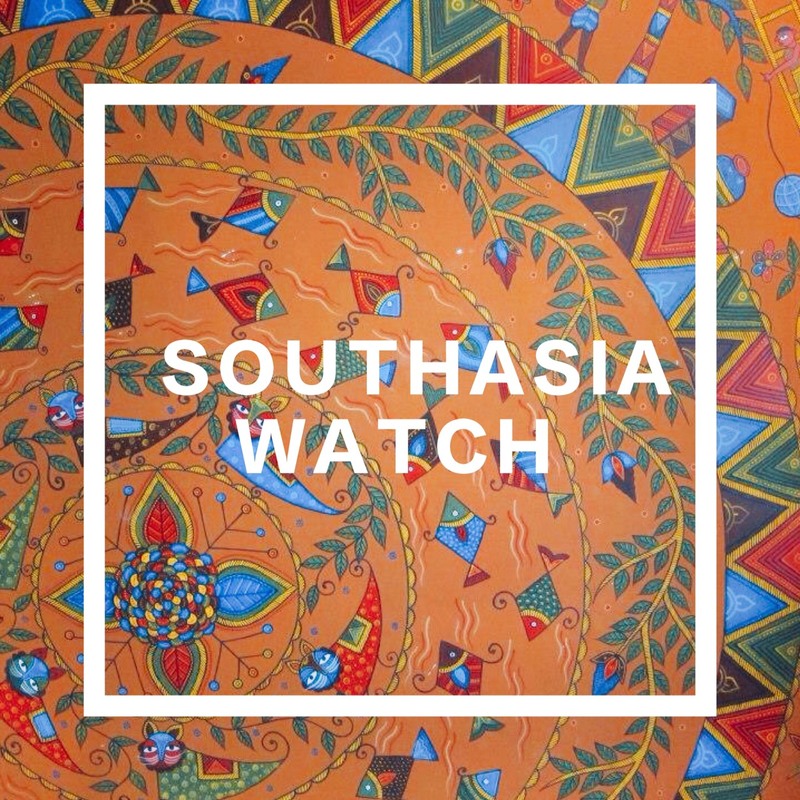 It has to be straight forward if Nepal’s new constitution posed any security threat to it. In that case, Nepali state should not ignore to be engaged with a friendly neighbour’s concern. But if it is only the hurt of PM Modi’s emotion as Indian media and scholars are referring to, PM Modi should introspect how quickly he could damage his “heroic” image in Nepal along with this immature policy. It is not too late for PM Modi and India to regain the recent damage if they take it as a good lesson learned, and continued engaging with the hopes PM Modi generated during his visit to Nepal in August 2014.